Sangit Chamber Ensemble will perform in extended formula on the 6th of February 2013 at Sutu Palace in Bucharest. The concert is organized by ACCUMM Foundation. The program includes works by Fr. Wilhelm Ferling, Jean-Philippe Rameau, Georg Philipp Telemann, Antonio Vivaldi and Ignace Pleyel. The term “Sangit” means “music” in Sanskrit language. Although relating chamber music to an Indian term might look strange, there is a simple explanation for this: music comes from the Spirit (Atma in Sanskrit) and its value is universal. 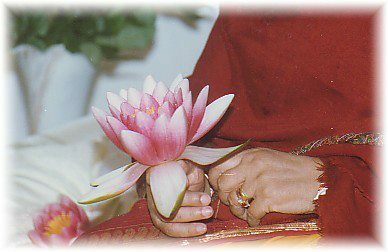 Sangit Chamber Ensemble is not playing music for an aesthetic purpose, but for its spiritual goal: obtaining Self Realization through Sahaja Yoga method created by Shri Mataji Nirmala Devi and experimenting the vibrations of music. Sangit Chamber Ensemble started as a trio created for European chamber music. Later, due to the knowledge and of training in Indian Classical Music of the violin player, Anne Marie Ene, the programs included also this secular sacred art. Anne Marie performs Indian Classical music, Hindustani style, together with her son, Avadhut who plays an Indian percussion instrument called tabla. One can see and feel the bubbling of new idioms in our creative world of Art, Music, and all that is beautiful and joy-giving. Integration is the key note of this new regeneration of universal tones. These tones are ripples of the harmonic, dynamic undercurrent music/sangeet of the Universal Love...It's amazing to witness how Indian music has influenced and inspired music in the West, with examples from pop culture and classical music:improvisation through raga (melodic structures), tala (rhythmic cycles), and rasa (emotion)& the learning of this music through the oral traditions of guru-shishya-parampara, and the resulting gharanas or lineages, each with its own distinct stylistic characteristics!In this Global Village in which we are all destined to live in each other's backyards, it is that music which spills over the garden fence by which we will better come to know our neighbours! Thank you very much Sangit Chamber Ensemble! Even the music we have in this program is not inspired by the Indian one, its value can be tested by vibrations. Shri Mataji was speaking about Mozart's music that is generating vibrations, although his compositional language is totally western.